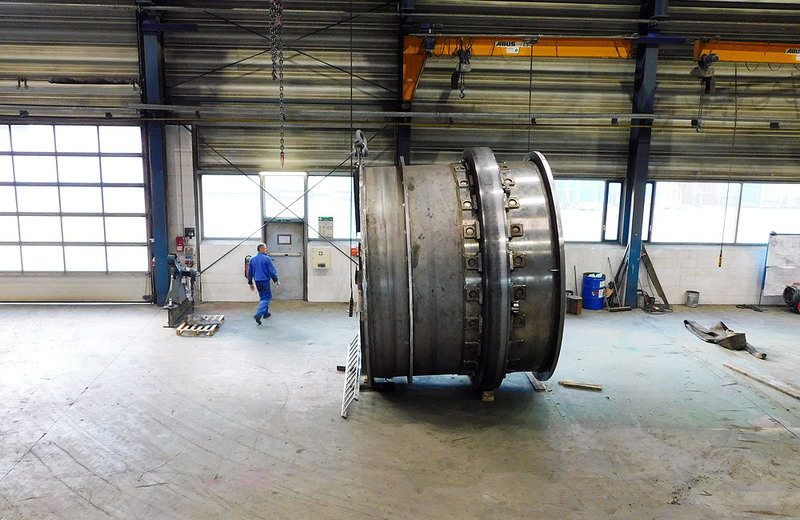 The production weight of the special-steel plant component is approximately 125 tons. 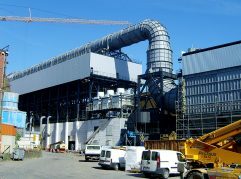 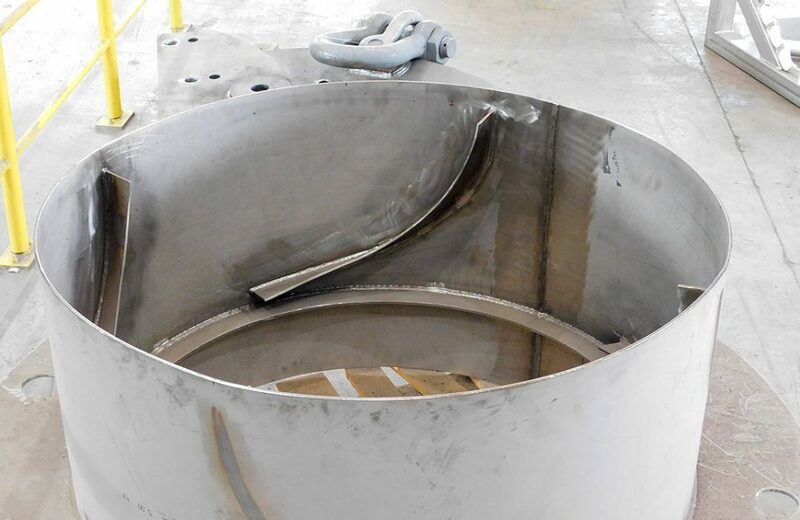 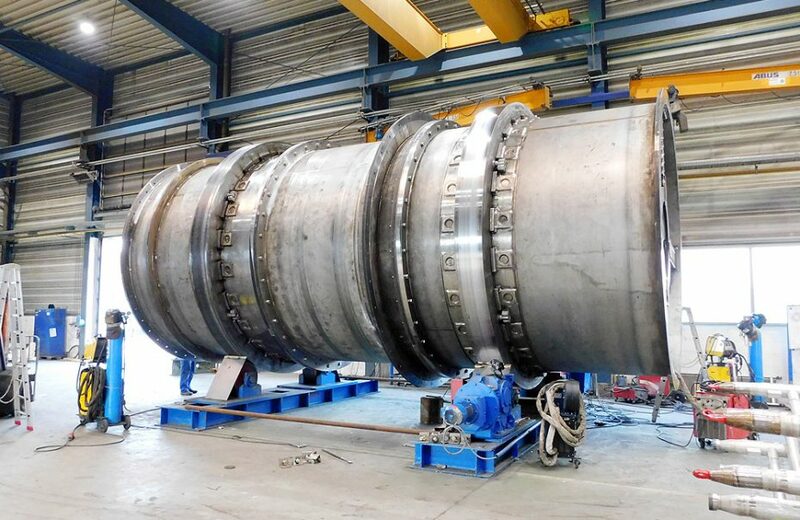 The steam dryer has an internal diameter of 3.75 m and a total length of 11.5 m.
Hilgefort produced an 11.5 m long steam dryer with an internal diameter of 3.75 m for a notable copper works in Hamburg. 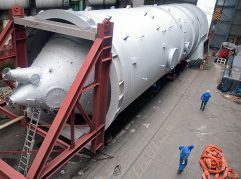 Given that the special-steel component weighed 125 tons, the steam dryer was produced in four segments to optimise transportation. 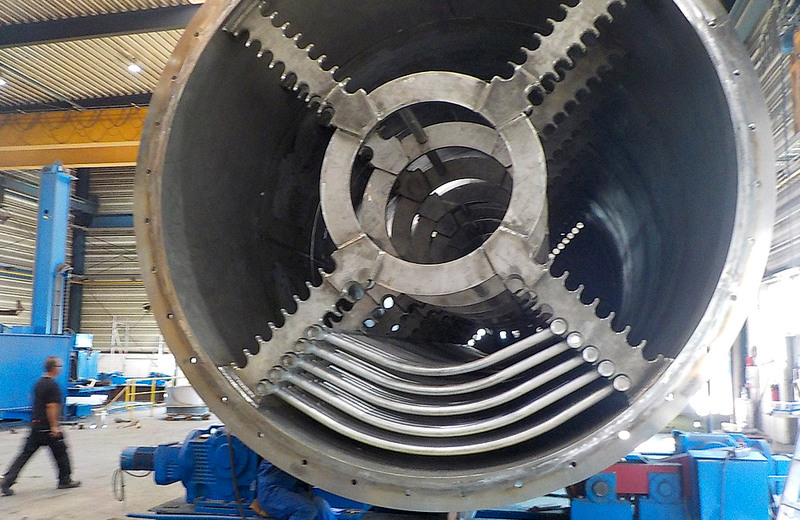 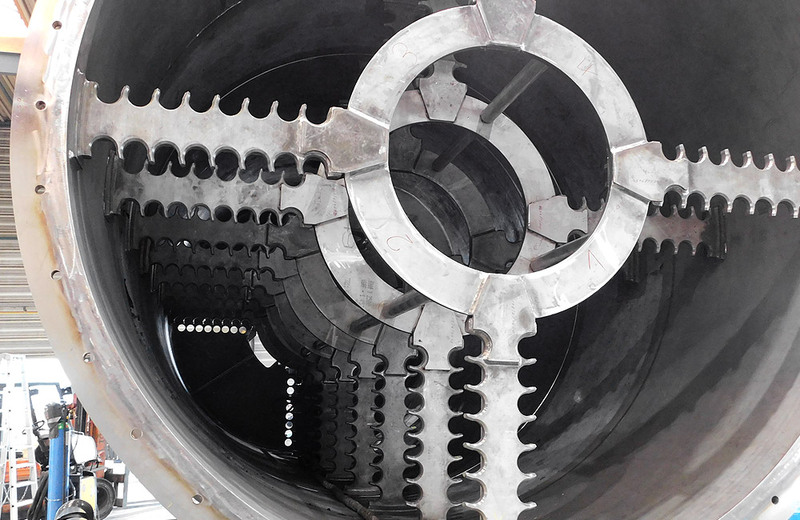 The steam dryer was entirely produced and assembled in a segmented design at Hilgefort. 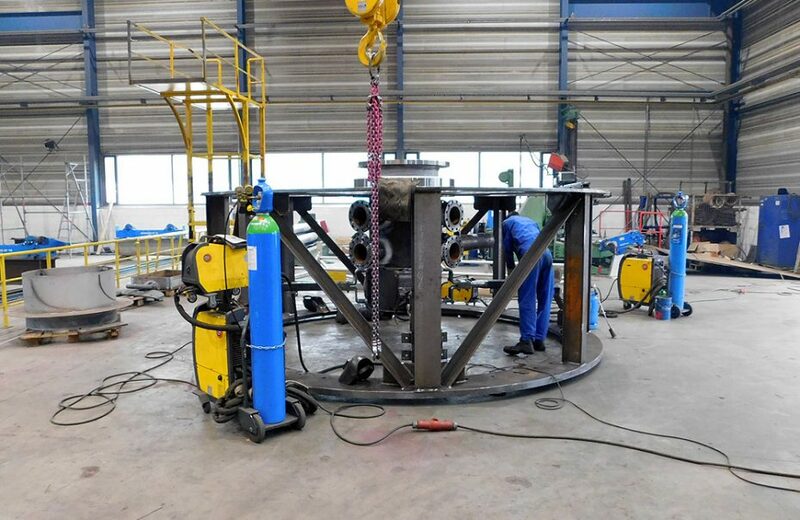 The concentricity of the assembled components was checked in the production hall. 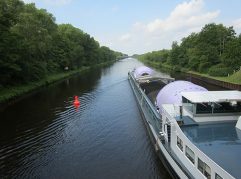 Then the dryer was separated into four segments again and transported to the copper works in Hamburg. In took nine days to dismantle the old steam dryer on site. 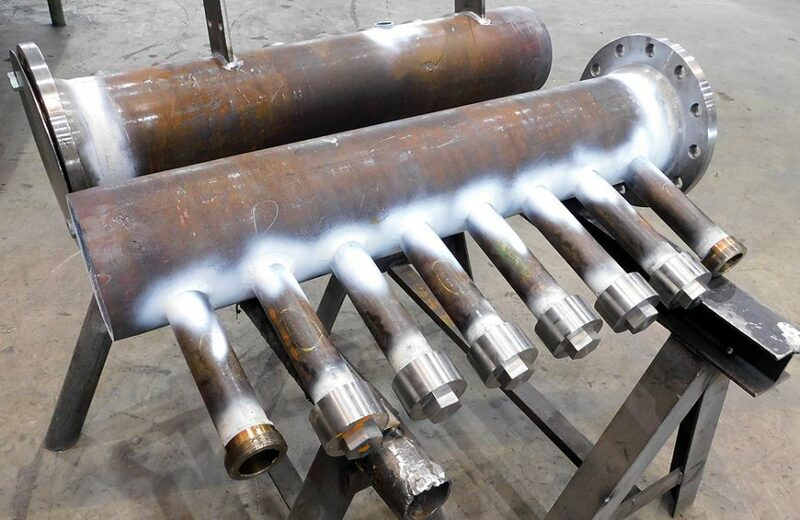 The existing support rollers were reconditioned and the new steam dryer was assembled and calibrated.